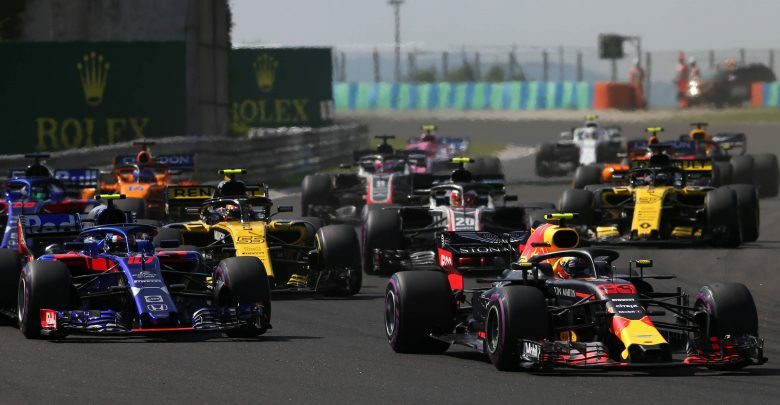 Hungarian Grand Prix – A race that got away for Ferrari, Lewis Hamilton stepping up to the challenge and what next for Force India – what are the main talking points coming away from the Hungaroring? Lewis Hamilton now leads the Driver’s Championship by 24 points – almost exactly the amount of points Sebastian Vettel threw away from crashing out of the lead in Germany. 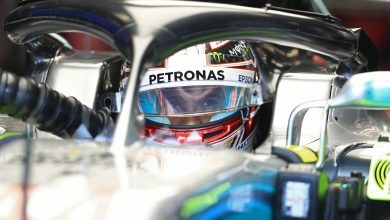 The momentum is completely with Mercedes heading to the summer break – Ferrari, despite their supposed car advantage, have won just two of the last ten races. There are errors aplenty coming from the Scuderia, and from Vettel. While the team were understandably a little distracted this weekend after Sergio Marchionne’s death, odd strategic choices like allowing Vettel to negotiate his way through five backmarkers and then immediately pit him after allowing five seconds of extra margin to ebb away was just plain silly. Dodgy pitstops for both Raikkonen & Vettel showed the pitcrew weren’t at the top of their game, while Vettel himself made an error on track while reeling Hamilton in, even if it was minor. At this level, those kind of errors add up and it was a summation of Ferrari’s current level that Vettel came out behind Bottas. The last two races have shown that Lewis Hamilton, right now, is currently better at seizing opportunities than Vettel is. The rain in Germany and Hungary may have been fortuitous for Mercedes as an equaliser, but it was Hamilton who didn’t slide off at Hockenheim. 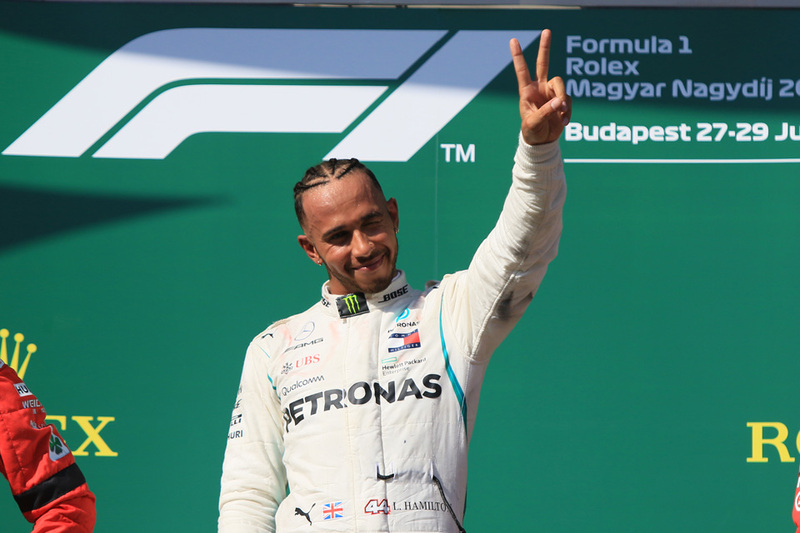 It was Hamilton who splashed his way to pole position at the Hungarian equivalent of Monaco. If Vettel wants to enjoy a reputation like Schumacher had at Ferrari, he needs to step up to the plate. Are Ferrari backing the wrong man? Oddly enough, it’s the other car that’s been most consistent for Ferrari recently. Kimi Raikkonen, despite making an extra stop in Hungary, probably could have finished ahead of Vettel on Sunday – it looked as though he backed out of passing Vettel straight after the collision with Bottas. His pace was fantastic, Raikkonen was consistently one of the fastest men on track as he enjoyed the more aggressive strategy. 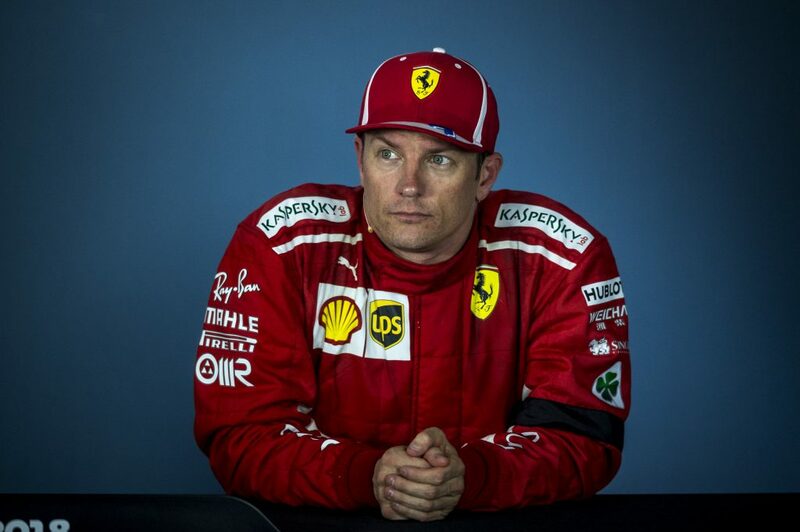 Five consecutive podiums for Raikkonen (the first time he’s done so since his championship winning year in 2007) shows that the Finn is regaining his lost mojo; he has only finished off the podium twice when he has finished a race this year. More importantly, he hasn’t made any significant errors on track all year, with the exception of some fluffed Q3 laps early in the year. Currently P3 in the standings, he’s 67 points behind Hamilton – a little too much and a little too late in the season to consider a serious title tilt while he’s still expected to support Vettel. Had Raikkonen finished as he should have before his pitlane incident in Bahrain, or had his engine problem in Spain, then he could have been right in the hunt for the title. With Raikkonen heading to his favourite track when racing resumes at Spa in four weeks, a strong result could yet ignite something special. This attitude is pretty dismissive, considering that Red Bull hand out in the vicinity of 15 million GBP to be a customer of Renault. However annoyed Renault bosses are with the constant complaining from the Red Bull camp, it’s not like Christian Horner, Helmut Marko & Dietrich Mateschitz are without valid reason to complain. Red Bull have proven this year that the RB14 is a car capable of challenging Ferrari & Mercedes. However, their lack of horsepower, coupled with continued unreliability, has prevented them from being serious contenders. While Red Bull may themselves be contributing towards Renault’s inadequacies by pushing the envelope on cooling or performance too much (which is by no means confirmed), the fact that they still can’t challenge Ferrari or Merc convincingly while doing so shows how far behind the power unit is. More worryingly for Renault in 2019 is the fact that, without the benchmark of Red Bull, the Renault power unit simply doesn’t look front-running. The factory team show flashes of speed but are still miles behind Red Bull, while McLaren are still trying to figure out how to even manage their team best, let alone extract the maximum from a power unit that might yet prove to be the worst on the grid by season end. 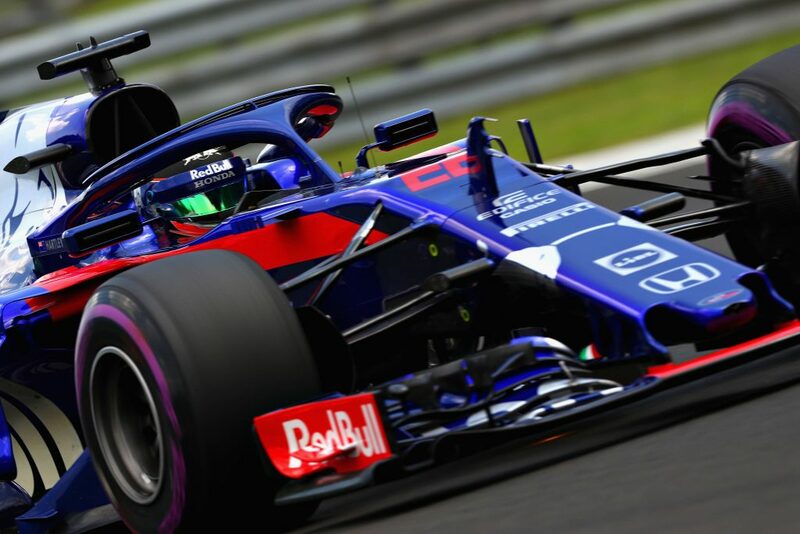 While the Hungaroring is flattering due to its low power demands, Toro Rosso were simply on fire in Hungary. Both cars qualified in the top ten in the wet qualifying on Saturday, indicating good, predictable drivability from their Honda engines. 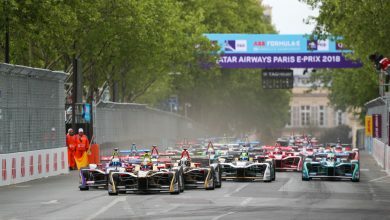 Pierre Gasly then got the jump on Carlos Sainz at the start of the race and eventually finished P6 – best of the rest, and only 13 seconds behind the beleaguered Valtteri Bottas. 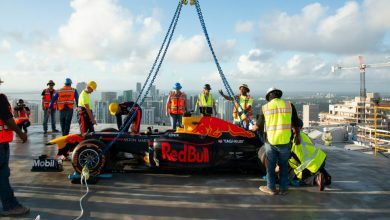 He was the only car outside the top teams not to be lapped, finishing 73 seconds off Lewis Hamilton after a 70 lap race with no Safety Car interjection. Brendon Hartley was good too, although unlucky as usual: his strategy shuffled him behind the points finishers. As an expected midfield customer team, Toro Rosso were clearly in better shape here than any Renault powered team bar Red Bull. After all the reliability issues with McLaren over the last three years, there have only been six Toro Rosso retirements out of twenty four starts this year – and reliability issues weren’t to blame for all of these. While the drivers will probably take some pain with grid penalties in the latter stages of the year, Honda’s performance has shown marked improvement and gives Red Bull plenty of reason for optimism as the relationship with their new supplier is clearly working in these early days. Where next for Force India? 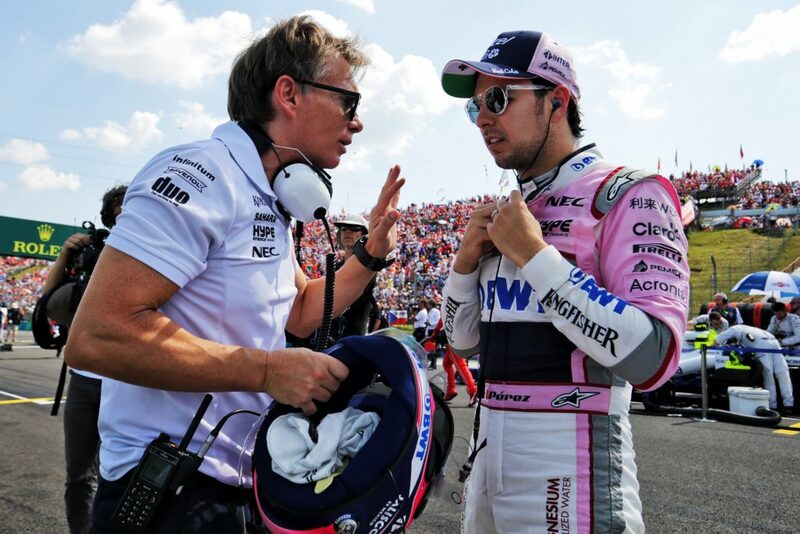 The news that Sergio Perez was the driving force behind the administration decision against Force India, along with Mercedes & BWT backing, was initially met with consternation. It’s an unusual situation for a driver to essentially force his employer into the control of an external agency, and it’s one that Perez clearly didn’t want to be part of initially. However, with news coming through from him that an external creditor was trying to get the team wound up immediately (creditor unknown for now), Perez was asked to use the team’s debt to him (4 million GBP) to petition for administration. With backing from Mercedes as another creditor, this action in the High Court was successful. His comments “The bottom line is that we did it, or the team goes bust. Emotionally and mentally it has been really tough. I haven’t been able to focus on being a racing driver” ring true and are the actions of a brave man. Sergio Perez (MEX) Sahara Force India F1 with Xavi Martos (ESP) Sahara Force India F1 Team Physio on the grid. Hungarian Grand Prix, Sunday 29th July 2018. Budapest, Hungary. It’s also a clever move – administration means the team is now under the control of FRP Advisory. These were the administrators that looked after Manor & Caterham in their final days, ultimately not finding fresh buyers. Force India, being a considerably more competitive team, are far more likely to find a successful sale before any thoughts of liquidation are brought up. 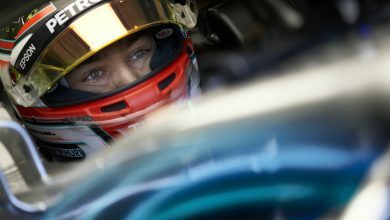 There are all sorts of rumours floating around about who might want to throw money at the team in order to give their racing driver sons a seat, but there’s nothing definite on the table just yet. All of this action has sidelined Vijay Mallya from his controlling position, with the administrators now able to make decisions regarding the team. For Perez to take on a role of direct influence over the team’s legal standing shows tremendous balls and, should his actions enable the team to escape financial ruin, he will come out of this a hero. If the team fails to find a buyer or fresh funding and goes under, it’s certain that the same thing would have happened under Mallya and Perez, along with 400 employees, would have been scrabbling for jobs elsewhere. Kudos Sergio.